OPEN FOR INSPECTION Wednesday and Saturday: 1pm to 4pm – Whilst the last stage of our retirement village premium homes have been sold out, Novacare has a number of well maintained refurbished homes available for immediate occupation. Why settle for less when you can live in the best retirement village in the South West of Western Australia. Selected as one of the 4 finalists in the Property Council Best Retirement Village in Australia in 2015, our Novacare village was rated by the Retirement Village Industry peak body as one of the best retirement villages in Australia in 2015! Our resort style village community facilities are unmatched by any other retirement village in WA. 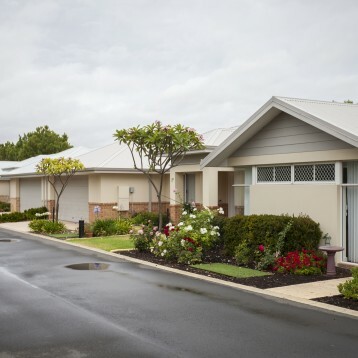 The Novacare Village is also collocated in Broadwater with the new Aegis 140 bed Ellenvale Aged Care facility and in close proximity to both the Baptist Care and Cape Care residential aged care facilities in Broadwater. Experience the lifestyle benefits our Novacare community provides, whilst retaining your independence. We have previously occupied and refurbished established homes, that range in price from $369,500 to $580,000.